The EPA regulates 104 toxic contaminants and is considering listing another 116 chemicals, pharmaceuticals, and biologicals, credible watchdog groups say the number of contaminants on these lists should be as high as 2,200! UltraWater is a proprietary patent-pending filtration system capable of reducing contaminants in Tap Water up to 99.9% – and produces great tasting Alkaline water. The AlkaViva UltraWater pHD CounterTop ionizer provides the highest level of contaminant removal than any ionizer available today. 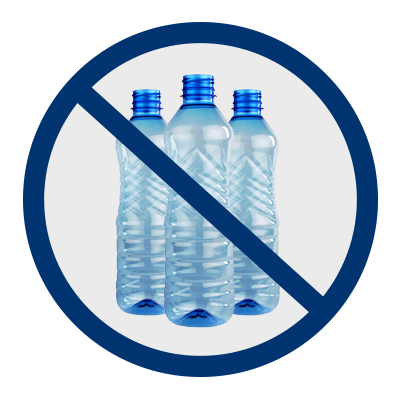 Plastic bottles have been thrown away world-wide since January 1st 2014. Learn More. Source: 2.5 million bottles are thrown away in the USA every hour. Watch the video.